In the fourth round of the West Indies Professional Cricket League, there were winners in all three match for the first time this season. 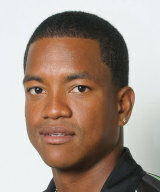 Guyana Jaguars trounced Trinidad and Tobago Red Force by an innings to open up a 20 point lead at the top of the table. Leeward Island Hurricanes suffered their first lost of the season as Jamaica registered their first win on the return of their talisman and captain Nikita Miller. Barbados Pride also register their maiden victory of the season leaving the Winward Island Volcanoes win-less and root to the bottom of the table.